Do you want a professional to check in on your HVAC equipment on a regular basis? The preventive maintenance staff at Tuckey serves customers throughout South Central Pennsylvania. With decades of experience in home services and a full range of specialties, you can count on us to nip problems in the bud before they cause major headaches. Let us keep an eye on your HVAC system so you can focus on the things that matter most. 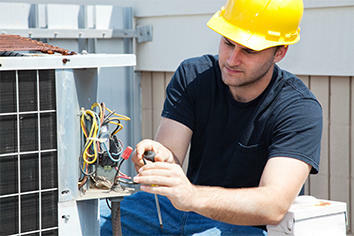 *For immediate HVAC service, call us at (717) 249-1535. Regular preventive maintenance adds to your equipment’s life expectancy. 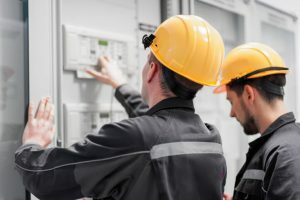 Instead of addressing a problem when it occurs, a preventive maintenance program reduces the chance of it happening at all. That means your equipment goes through less wear and tear and works at peak efficiency. A proactive approach to equipment servicing lets you avoid the costs of frequent replacements. We cannot overstate the importance of preventive maintenance. It helps your system run at peak efficiency and reduces the risk of expensive emergency breakdowns. While we proudly offer emergency services, you want to minimize how often breakdowns occur to avoid the stress and cost. In addition to standard HVAC maintenance programs, the Tuckey Companies offer comprehensive home maintenance solutions. We take the worry and hassle out of property ownership by customizing a maintenance plan for your home. Your plan may include gutter and spout cleaning, duct cleaning, and general maintenance, along with our HVAC, plumbing, electrical, restoration and remodeling services. A Tuckey Preventive Maintenance Program is a smart choice for your household. You get to count on the proven expertise and reliable experience of South Central PA’s most trusted name in mechanical, restoration and remodeling services. We provide preventive maintenance services to homeowners throughout South Central PA, serving cities including Chambersburg, Carlisle and Harrisburg, PA.
To sign up for the Tuckey Preventive Maintenance Program, please fill out our online contact form or call our office at (717) 249-1535. We will be happy to answer any questions you might have or provide you with pricing and other information. Once the Preventive Maintenance agreement is signed, we will contact you throughout the year to schedule the services you request. South Central Pennsylvania residents, sign up today! "Dave was very patient and thorough. Had it not been for his visit and his careful attention to detail, my family could have been harmed. He even took the time to help me figure out the best places for carbon monoxide detectors."